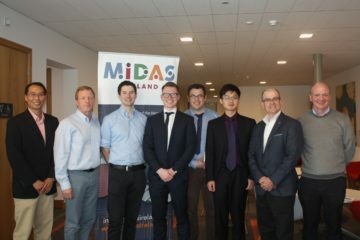 MIDAS Ireland is delighted to announce the winner of the MIDAS 3rd Level Project Competition 2017. The winner is Jiayi Shao, from ITT, with “Wireless Sensors Web Server- Intelligent Greenhouse Design”. Jiayi received a €1,000 prize. Supervisor – Michael Gill. The runners-up are Yipeng Shen and Zhixiang Li, from IT Carlow – Supervisor – Darren Kavanagh with “Acoustic Source Localization of Autonomous Robotic Machines” and Martina Nunvarova, Foo Shen Hwang, Pawel Chmura and Khalid Al Alawi, from IT Carlow – Supervisor – Cathal Nolan with “Enhancing Photo Harvesting through Dual Axis Solar Trackers”. 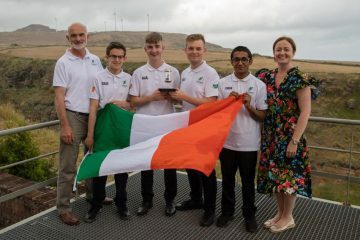 They each received a €250 prize. Thanks also to their Supervisors for all their efforts/guidance in relation to their projects. The competition prizes are kindly sponsored by Analog Devices. 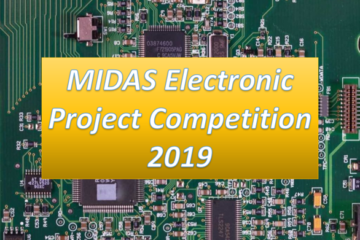 The winner was announced at our recent MIDAS Ireland meeting in IT Carlow on Thursday, 12th October 2017. The prizes were also awarded on the day.